These beautiful blue prints are called cyanotypes, an early photographic process that uses the sun to produce an image on chemically treated paper. 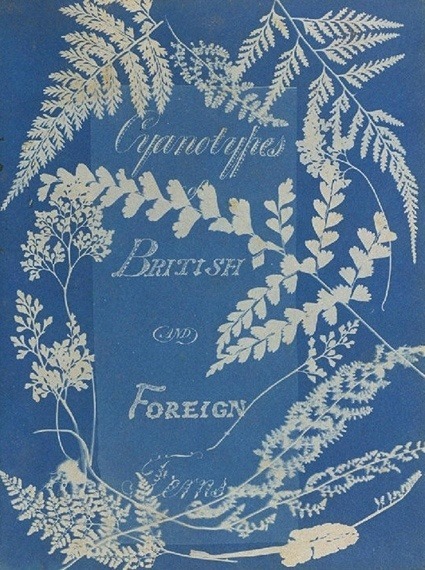 Anna Atkins, a trained botanist , also sometimes known as the first woman photographer, used this process to print and publish her own book illustrated only by photography. I spent an inspiring afternoon with Anna recently and created my own . This is an easy and inspiring project for a sunny day and you can find the sun print paper at most craft stores. I am really enjoying my nature study hung outside my bedroom . Their mysterious little silhouettes draw you in for a closer look.